When HomeTeam was launched over 20 years ago, only 30% of homes were inspected. Today, nearly 90% of homes are inspected before the sale closes. Home inspections cannot be automated or exported, and the need for them is ongoing and most importantly, ever rising. This translates into the opportunity for you to own a growing business—one that offers you freedom to live a full life. As the only home inspection franchise in North America that operates with a team approach, HomeTeam provides immediate differentiation and potential for rapid growth. Owning a HomeTeam franchise gives you freedom to manage, market and multiply your business—all within a low-cost structure. Team up with over 100 franchise partners across the U.S. and Canada who are defining their own destiny by putting their skills to work for HomeTeam. What is the HomeTeam difference? We're fast because of our team approach and advanced reporting software. We're trusted to protect homebuyers, home-sellers and realtors alike, so you can make fully informed decisions with confidence. We're accurate with our systematic approach and detailed reports. Each team member focuses on his or her area of expertise so you're better served. Premium Brand Image | Professionally developed and strategically driven, our brand image reflects excellence and invites confidence. Extensive sales and marketing resources are available for every franchisee, as are marketing tools, such as your own local website, email programs and customer retention systems. Fast Start | Our Fast Start program will help you through the steps you need to take before you open, allowing you to open for business in as quickly as five weeks. The Academy | For the first year in business, we'll work with you weekly and monthly to help keep you on track. This includes benchmarking and monitoring your performance as well as providing regular guidance. Mentoring | Nothing is as helpful as working with someone who's been on the same pathway before. We'll connect you with a successful franchisee who will help you realize your goals. You'll have special access to him/her to ask questions and seek advice. Management Tools | We'll supply all the manuals and procedural guides in addition to our state-of-the-art software. 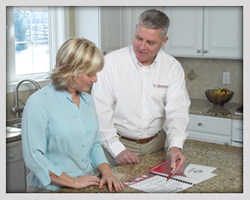 HomeTeam is the technology leader in the home inspection industry, offering franchisees up-to-date technology solutions in management, marketing and customer service. HomeTeam's ideal candidate is a proven self-starter who is searching for a feasible way to begin a new business. Driven and positively impatient, this person seeks out and dominates high-demand and high-performance situations. As a young sales manager or a retired veteran in the prime of his life, the desire to achieve remains a powerful motivator. A strong manager with the ability to build relationships and create a loyal following, this person embraces the opportunity to lead others to greatness. The candidate must have a minimum of $50k in liquid capital and be ready to make a full-time commitment. "I looked at franchise opportunities for nearly ten years prior to joining HomeTeam. Other home inspection franchises offered similar low overhead and low startup costs, but I found HomeTeam's "team approach" to home inspections was a superior and unique model. It sets us apart from all others and has allowed my company to experience phenomenal growth - even when the housing market was down. It was also very important to me that the corporate staff and the franchisees have the same team mindset. This has been critical in our success." "Why did I choose to purchase a HomeTeam franchise? First, I wanted a source of income sooner rather than later. Second, the marketing program was the most comprehensive that I found in my research. And finally, the support structure available to me from the corporate office was diverse. It covered training, software, marketing and ongoing technical support. My decision turned out to be the best one I could have made. For results, I exceeded my own revenue expectations in my first six months in business and I have experienced exponential growth each year since starting my business. 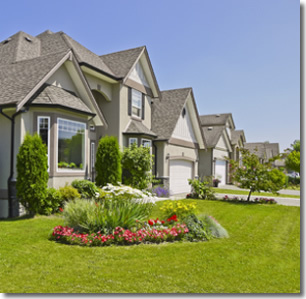 We never experienced the downturn in the real estate industry during the recession."